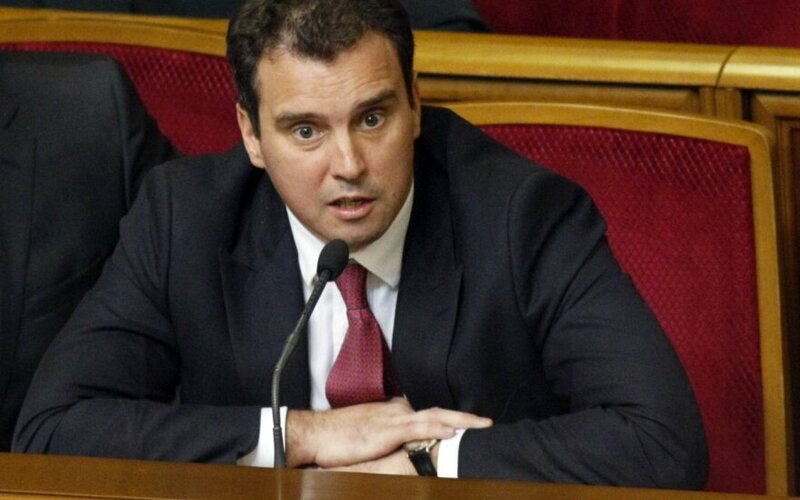 Many Lithuanians follow closely developments in Kiev, where Aivaras Abromavičius, a 39-year-old Vilnius-born businessman, has been put in charge of Ukraine's ministry of economy and trade. He is one of several foreigners invited by Ukraine's current leadership who decided it takes an outsider to tackle corruption and inefficiency that plagues the country's economy. Mr. Abromavičius ties to Ukraine go back 12 years, when he met his future wife during his first holiday visit to the country and fell in love both with the young woman and her homeland. After getting married, they lived in Stockholm, then in Moscow, and seven years ago they moved to Kiev. All three of the couple's children were born in the Ukrainian capital, because they travelled to give the first birth there from Stockholm and for the second birth from Moscow. Mr. Abromavičius believes that it is better to live in his wife’s country if the couple come from different states. While still working in business, he used to spend around a hundred days per year on business trips. It gave him comfort to know that his wife was in familiar environment, surrounded by her old friends. His parents-in-law come from Donetsk, the hot-spot of Ukraine's current troubles. They moved to Kiev three years ago, but still worry very much about the Russia-propelled separatist war in Donbass. So the minister is very well informed about the situation there. His wife owns a flat in Donetsk and, according to the last information, it is not occupied by the separatists. They also had a flat in Crimea which is out of reach now, after Russia annexed the Black Sea peninsula over a year ago. Mr. Abromavičius used to rent out premises in the resort town Gurzuf in Crimea, and organize exhibitions of modern art there. His current office, too, is decorated with pieces of contemporary Ukrainian art and Lithuanian art photography. He has little time for arts now, however. He cannot even find time to invest his own money that he got after selling shares in his investment company East Capital, his employer for many years. Every week since last December when the new government of Prime Minister Arseniy Yatsenyuk assumed office, there appear rumours in Kiev that someone or other from the cabinet is about to be fired. However, everyone continues in their job. Mr. Abromavičius believes that some changes in the cabinet shall occur in the autumn, before municipal elections, but tries not to think about it too much and concentrate instead on the task at hand he was hired for: to reform the inefficient Ukrainian economy. Over the last seven months, he has reduced the staff at his ministry by almost 50 percent. Four hundred employees were fired. Other ministries have not made such harsh decisions, but Mr. Abromavičius explains that it was not possible for him to do his job with such a team and implement any resolute reforms. There used to be 28 departments in the ministry. At the moment, only seven old department heads continue in their jobs, while the minister bid farewell to two more. Eighty percent of the management team is new blood, including all the vice ministers. Other big changes Mr. Abromavičius undertook extend beyond the ministry itself. He has cut the list of licensed businesses by 40 percent. Many companies can continue their activities uninterrupted, except they no longer need a licence from the government. This is part of the minister's drive to deregulate Ukraine's economy. At the same time, he also streamlined government watchdog army. Mr. Abromavičius checks the exact figures on his smartphone: 13 state agencies charged with controlling business have been liquidated, 10 were reorganized into five, and two new offices have been established. This means that of the 56 government agencies that used to supervise businesses there now remain 40. Mr. Abromavičius notes that what many of the government inspectors do has nothing to do with their formal functions. They simply have targets of how much money they have to extract from businesses - and so they walk around and demand their share, paying little attention to whether or not entrepreneurs actually stick to the rules. The biggest resistance Mr. Abramovičius encounters when trying to restructure state enterprises. In all, there are 1,827 of them, and the minister says that all of them represent vested interests of various groups of people. All state companies without exception are non-transparent, corrupt, involved in financing various political parties, etc. In addressing the problem, Mr. Abromavičius says he has had great help from his aid Adomas Audickas, a former vice minister of economy of Lithuania who now works on restructuring Ukraine's state enterprises. The work is advancing despite tremendous resistance. The Lithuanian team also need to decide which of these 1,827 state enterprises are of strategic importance. There should be around 20-50 of them to be left in the government's control, while the rest shall be privatized - and the sooner the better, the minister says, as their financial situation is deteriorating by day. The privatization programme should make use of consultations with with foreign investment banks in order to ensure maximum transparency. 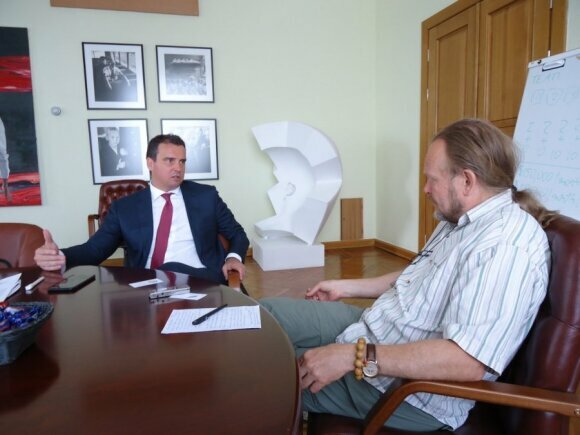 Mr. Abromavičius is determined to sell the first two enterprises – CentrEnergo and a fertilizer factory in Odessa - to foreign strategic investors as yearly as this year. There are already interested investors. Mr. Abromavičius says that he does not want to let privatization play into the hands of local power clans. Mistakes have been made in the past while selling off state enterprises, but Mr. Abromavičius assures that he does not consider nationalizing and selling them to private investors again. That page has been closed and must remain so, he says. "How could we talk about privatization and about attracting investors under the circumstances of reprivatization," he exclaims. Another Lithuanian, former prime minister Andrius Kubilius, is working with Western partners to promote the idea of a new Marshal plan for Ukraine. Mr. Abromavicius plans to invite Mr. Kubilius to a huge annual conference, “Yalta European Strategy”, to be held this September in Kiev where Mr. Kubilius could present the plan and its implementation in details. If Ukraine manages to build a robust supervision mechanism to ensure that the money does not end up in the pockets of corrupt officials, this idea could be a great success for entire Europe. 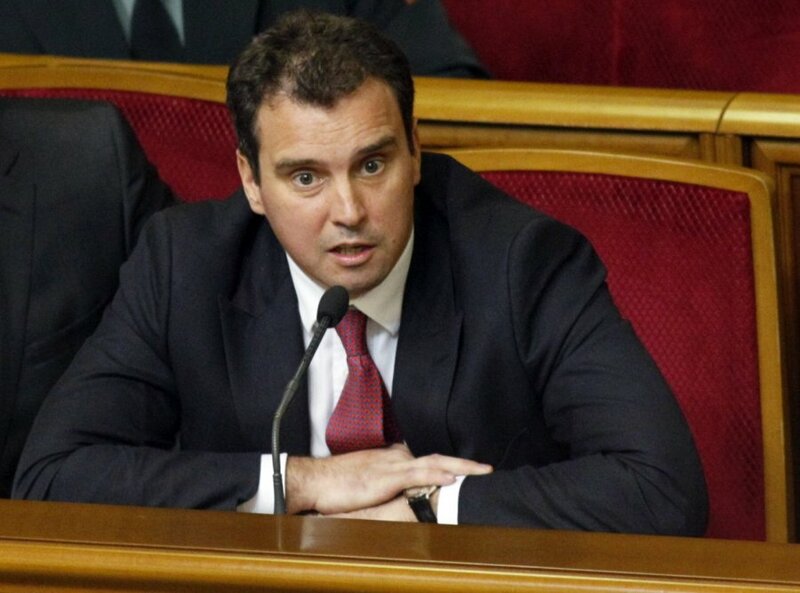 Bloomberg: Can Lithuanian minister save Ukraine's economy?